He’s a casual, warm fellow off the field, but the Springbok lock deserves to be taken serious as a leader. Lood de Jager’s first media conference as full-time Bulls skipper was conducted in shorts, a training shirt and bare feet. It’s befitting of the lanky 26-year-old’s easy going, almost goofy-like perception. What that image is increasingly struggling to hide though is the articulate, thoughtful leader now tasked with driving the Bulls’ revival in 2019’s Super Rugby campaign. And he seems very much at ease with that responsibility. 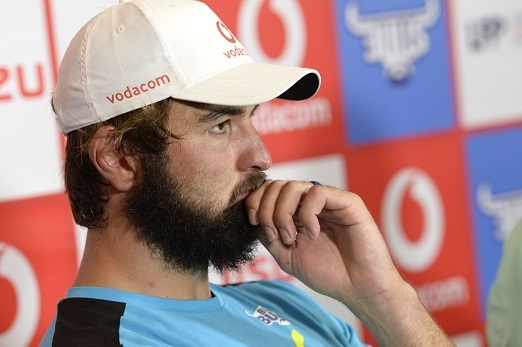 “Oh, I’m definitely not the type of guy that actually keeps quiet, contrary to what some think,” De Jager said ahead of this weekend’s pre-season tournament at Cape Town Stadium, where the Bulls will face the Stormers. But talk is cheap and that’s why the man from Alberton, who boasted a fine academic record at school and was South Africa’s Rugby player-of-the-year in 2015, is going to lead by walking the talk. He’s pretty good at that already. “The best leaders I played under were the guys that led by example,” said De Jager. Should De Jager want to creep a bit more into his shell as game day approaches, he has more than enough deputies to take up the slack, particularly veteran Springboks Schalk Brits and Duanne Vermeulen. “They must just be themselves and they will help Lood a lot with their experience because they are also leaders in the Springbok setup,” said Bulls coach Pote Human.